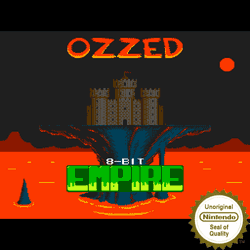 Ozzed.net - 8-bit and Chiptune music for everyone! 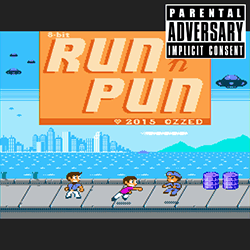 Here are all my 8-bit and Chiptune Albums. 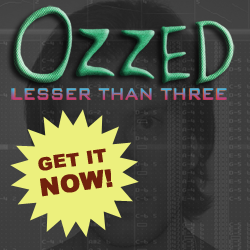 You want to learn how to make 8-bit and chiptune music. If any or all of the above is correct, you've come to the right place. And if not... Well... You should stay and have a look aroud in case you'll stumble upon something you like. I am a chiptune composer from Sweden. 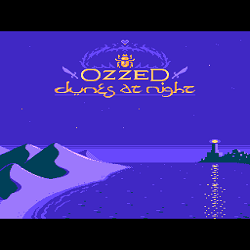 I enjoy making 8-bit music and sharing it with everyone for free. I've been facinated with the genre ever since I was a kid, and ever since the project started, my goal has been to make my music as freely available as possible, for both new audiences and people who already know and love the genre. You should care because the music is licensed under Creative Commons, which means that you are free to use, distribute and modify the music however you see fit, as long as I am credited as the composer, preferably with a link back to this website. And, though not a requirement, I really enjoy when people let me know how my music is useed. Tell me, and I will share it on Facebook and Twitter, and if you want I'll put a link to your project on my Links-page, giving you some extra publicity. 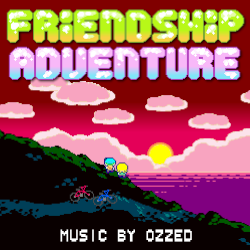 Latest addition: The chiptune album "Friendship Adventure". Is the page you are looking at right now. This mainly serves as a descriptive table of contents for the rest of the site as well as some general information about why I'm doing this. You'll also find some links to other places on the web where you can find my music. It also gives you the 5 latest news posts. 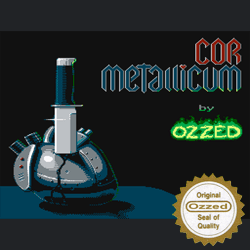 Is where you listen to and download my free 8-bit and chiptune music, both Albums and "Site Exclusive" releases are available, and all content where I am the original composer is licensed under Creative Commons. Everything can be downloaded directly from the site, And for the albums you also have the option to download torrents, which are also hosted on the site. I used to host them on The Pirate Bay, but due to constant DDOS-attacks I feel that the site is no longer reliable, so I'm hosting the torrents directly on tnis site instead. Is where you find the latest updates from me regarding what's going on with my music and the site in general. This is in no way a "blog" or anything like it, but merely a place where you can get the latest news. My music is and always will be completely free, but if you would like to know about different ways you can support what I do, this is where you want to go. Here is where you can find links to similar artists, projects that uses mu music, software for making your own chiptunes, and so on and so forth. This is where you will find various options to get in touch with me. Spotify: Where you can listen to all my chiptune albums. This is a great way to support me as I get a little bit of money every time my songs are played. Deezer: Where you can listen to all my chiptune albums. This is a great way to support me as I get a little bit of money every time my songs are played. 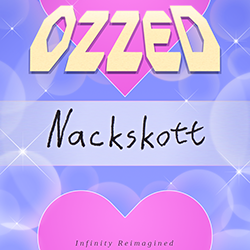 Facebook: Like my page to get updates on new chiptunes, albums, changes to the website, and so on. Twitter: Pretty much the same as Facebook when it comes to updates on stuff, though I might ramble a bit more on Twitter than I do on Facebook. YouTube: Here you'll find all sorts of stuff by me. Things related to my music but also other varous random things. Bandcamp: Where you can listen to and download my albums, and buy the albums by giving any ammount of money you want. Jamendo: Where you can listen to my music, download it, review my albums, license my music for professional use, donate if you want and more. Soundcloud: Where you can listen to my music, download it, share and embed it, follow me, and more. You could once listen to my chiptunes on Last.fm, but nowadays it's more of a showcase site where you can see which of my tracks are popular, follow listening trends and so on. Myspace: Where you can listen to and download a few of my songs. And add me as a friend if you want, though Myspace is mostly a walking zombie these days, I keep it around for nostalgic reasons. I hope this information has been helpful. Feel free to contact me if I missed anything or if you have suggestions on how to improve the site. Rock on!